Hand carved "GULP" replica. Medium density balsa with 5 grams of ballast. Sealed with 8 coats of propionate & 5 dips of lacquer primer. Createx paint and 2 dips of KBS. Slow sinks like the originals and has a ton of action. Hat's off to Jim Harter, he had it figured out a long time ago! Nice job. Very "clean" build. 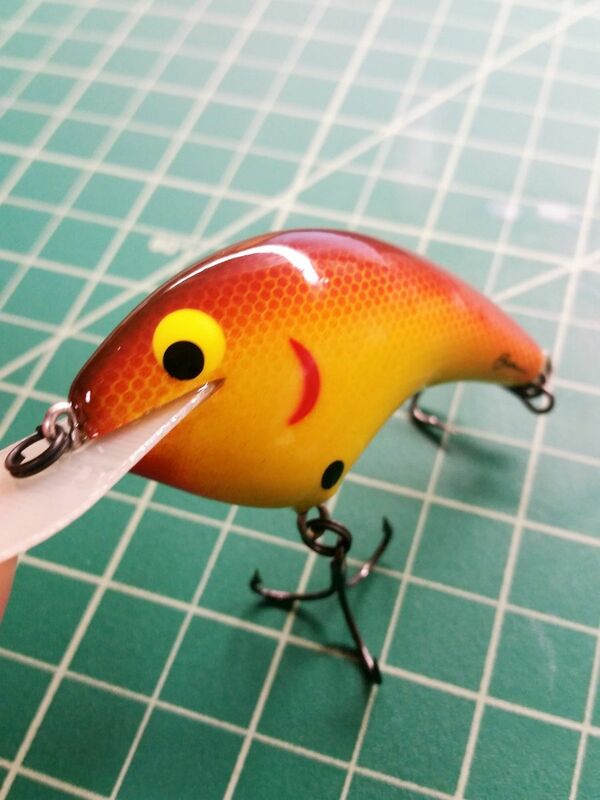 Looks great, like those kind of lures.